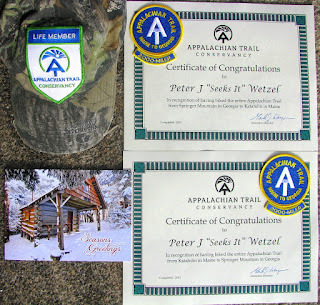 Everything’s official now: I’m a certified 2012 double thru-hiker. 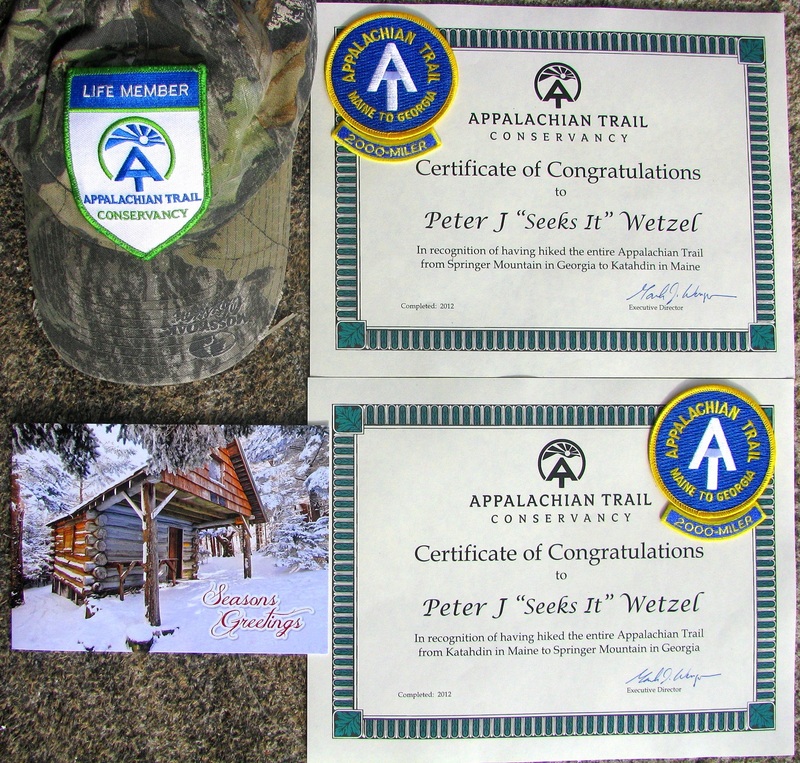 The ATC sent northbound and southbound thru-hiker certificates, plus a Christmas card with the Roan High Knob shelter pictured ... and I ordered a custom oval sticker to display on the old trusty 'two ton steel tent'. Nearly everybody who's done an AT thru-hike agrees: it changes your life. 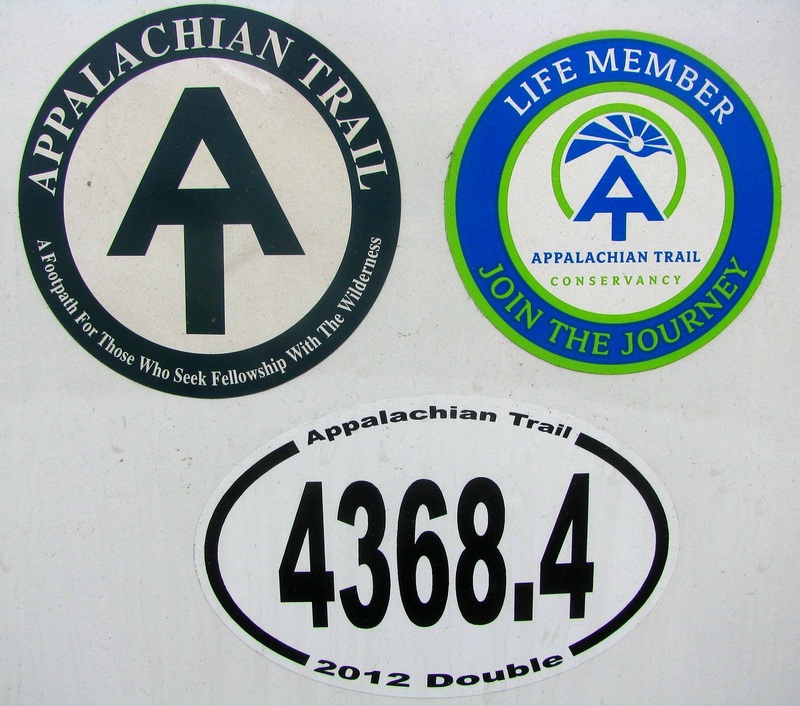 I think about the Appalachian Trail daily. I still dream about it at night. I miss it. I want to go back; and I probably will (see the end of this post). But I have some writing to do first. The trail’s influence is seeping into everything, including my writing projects. Check back to this blog (or subscribe) for more details of how the Appalachian Trail features in Ice King (plus a new AT-focused ‘prequel’) and for more about a proposed AT guide book for day hikers who want to do as little as a mile or as much as the whole trail in a single year. My writing ambitions are big – maybe bigger than a double thru-hike. I have many months of writing planned. And the laser-focus that I nurtured and sustained on the trail – the drive that allowed me to see the double hike through to the finish after ten long months – is *seriously* helping. Because my mega-novel Ice King won that novel contest prize, it gets top priority … and it has a big finish that happens on the AT. That’s the only part not yet written. Stay tuned, especially you Duncannon fans. But sitting at the keyboard all day is no balanced life. As the sidebar on my blog says, I also plan to “hike to keep fit”. The goal is to hike at least 100 miles per month, though I admit to slacking in the 6 weeks since I finished my thru-hike. Upcoming hikes will be divided between strolling the beach and extending my ‘Personal Continuous Footpath’ from the AT to my new ocean condo in North Topsail Beach, NC. This will include hiking a big chunk of North Carolina's Mountains-to-Sea Trail. I’m sure I’ll also be visiting the AT (Trail Days? Cullowhee? ).